Sold by TPLB Market and Fulfilled by Amazon. Gift-wrap available. 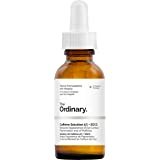 Amazon's Choice for "the ordinary buffet"
The Ordinary is "Clinical formulations with integrity". 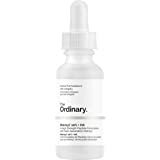 Ditching all forms of traditional marketing, their skincare goodies have the most scientific names possible, so it can be overwhelming to even know where to start. Sold by TPLB Market and ships from Amazon Fulfillment. Sold by Count On US and ships from Amazon Fulfillment. I put it every morning and night on a clean face before my moisturiser. I love the feeling a few seconds after I put it and I feel like my sking is instantly more firm. Will buy it again. 3.0 out of 5 starsNot for me, but could be for you. I wanted to fall in love with this but I didn't notice any real differences. I think I was hydrated for the hour after it was on and I did notice my complexion was nicer, but I also broke out. I'm no skin expert but I think that it's okay, and I would recommend it to someone who doesn't get breakouts and just wants a small splash of moisture in the mornings. 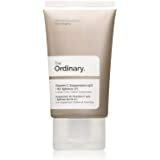 I prefer to use deeper moisture treatments at night, but I could see how the price would be good to start at. Product unsealed, and likely fake. Buyer beware. Have repurchased this several times already.